Composer: Byrd, Tallis, Morley, Philips, White, et al. This album brings together six English composers whose combined careers span more than a century Byrd, Tallis, Morley, Philips, White and Tomkins. The title Vigilate! (Be watchful!) epitomises the clandestine character of recusant music-making in Elizabethan England, by undercover Catholic composers of the time. The pieces on this recording display the richly imaginative, devout and diverse responses ofmusical craftsmen who worked with unfailing creativity in difficult times. The album comes in our usual casebook packaging and contains a 36 pages booklet with notes by Kerry McCarthy and texts in German, English and French. 5.0 out of 5 starsMVC at their best - again! 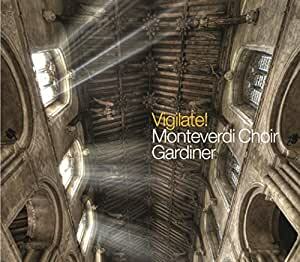 This CD has some of the most sublime singing on you are ever likely to hear. The softer and slower pieces are to be luxuriated in as one can hear all the parts; the phrasing is subtle; the words are as clear as possible; and the acoustic/recording standard is up to Mike Hatch’s usual phenomenal standard. Indeed you will hear much that you usually only hear when you sing one of the inner parts in performance. There is one word of caution however. As often happens with Gardiner, speeds can be excessive, and Philips 'Ecce vicit Leo' which opens the CD is a case in point. This takes 2:24 mins as against a more conventional 3:20 – a speed and clarity which has you marvelling at the choir’s virtuosity, rather the piece’s content. This crispness works well though in Byrd’s 'Laudibus in sanctis' where the tempi and rhythmic contrasts in each section are vividly brought out in a way rarely heard from other choirs. Some people will find some of the phrasing rather overdone, but I prefer this to the usual understated offerings. Yes there are some ‘old favourites’ on this CD, but the approach is so refreshing I have found myself listening to it many times and still hearing new facets. And the White 'Lametations' are a delightful discovery (to me at least). MVC are my favourite choir (I am biased as I used to sing with them many decades ago! ), and this CD is well up with their best performances on the Santiago recordings (et al). 5.0 out of 5 starsBoy! Is this good! All Renaissance lovers, buy this. Laud imbues in Sanctis. Eliot Gardner doesn't spare the horses, but the clarity is there nevertheless: you hear everything Byrd wrote down and the choir makes good use of strong consonant diction to give the piece an irresistible excitement. A little later comes the gem of the programme: Byrd's Nunc Dimittis. It's difficult to find words to describe the beauty of this reflective song of resignation, or indeed the outstanding performance. Better just go and buy the CD! In White's Lamentations, which certainly gives the more famous Tallis setting a run for its money, Eliot Gardner takes the same approach as he did with Lobo's Lamentations: extreme calm and slow tempi for the initial letters to each verse and then enjoying the discords in the verses. Gorgeous. There's more, plenty more. Go on, Monteverdians, do another one like this, please. This disk is a curious example of how John Eliot Gardiner's general approach, though often thrilling, doesn't quite work for all music. Although the choral singing all the way through is very fine and I found much to enjoy in his interpretations of the Byrd pieces, in the longer works such as Tallis' Suscipe Quaeso Domine Gardiner's focus on the thrill of the moment rather overrides the big picture, and the whole makes for only a partially satisfying performance. In music of this sort, a large scale sense of timing is key to a satisfying interpretation - it rather eludes momentary thrills. Though these moments of Gardiner's often work to an illuminating effect in Bach, here they seem somewhat mannered and exaggerated. That said, I admire the way Gardiner really encourages a different mood of articulation for each new point of imitation in the later pieces. I don't necessarily agree with all the interpretative choices he makes (case in point - I think the second statement of the word Vigilate in Byrd's motet of the same name requires a more forthright approach, as opposed to the imploring gesture taken up here, as well as the slight hold up in tempo). 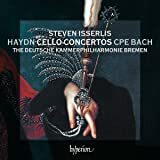 However, it is refreshing to see that interpretative decisions have been made - if this music is to take its rightful place as one of the great repertoires in Western music, alongside the cantatas of Bach and the masses of Haydn, it ought to be able to bear different interpretations, lest it become a museum piece. Vigilate! English polyphony in dangerous times. It's well named and quite apt, given that Britain's status as a Christian country has been robustly rejected by humanists writing in the newspapers, thanks to the PM's latest expression of support for religion. I haven't found that a lack of religion goes hand in hand with courtesy or tolerance; one of the most interesting themes in the Irish film Calvary is the want of respect or consideration for others accompanying a lack of faith in the church and in God. A well earned contempt there, but still saddening (you have to see the film - it's very powerful). A lack of faith can so often mean a lack of confidence; indeed, as a wise Irish fellow once said, "Anybody who has totally given up on the idea of God or the Devil has never been properly kissed or flown on Ryanair with a hangover." JEG and the Monteverdians made a personal selection of Elizabethan Latin settings by Tallis, Byrd, etc, after long engagement with this repertoire; the relative brevity of their choices and the fact that this is music written at a time of flux in the English church, creates variety and helps to maintain interest throughout the 78min programme. Once again, this is a high quality SDG production, photos, essays, print and everything. May you live to experience the art of interesting times.